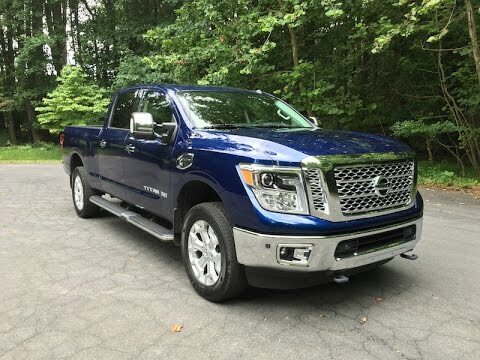 Straddling the line between full-size and heavy-duty trucks, the 2016 Nissan Titan XD offers a much more comfortable ride than a three-quarter-ton truck, with similar capability. For towing more than 12,300 pounds or carrying more than 2,100 pounds of payload, look to a true heavy-duty. But if you're near the limits of a full-size truck's capacity, consider the Titan XD. Have only had this one about 3 weeks but so far it is a comfortable, roomy, option for myself and my spouse. Also plenty of storage for the things I need for my job. Plenty of horsepower too. It is a great tow vehicle for a family. I love my truck. It gets good mpg for being a diesel truck. There really aren't any blind spots, and I love the sensors that help me make sure I am driving safely. Also, it tows perfectly. Towing capacity is better than diesel. I love the interior of the vehicle as well as the backup camera. The skid plate through the undercarriage of the vehicle is amazing.